Membership dues for 2019, which remain at just $25 per person or $40 for the family. Texas Traffic Net meets each night at 1830 hours Central time on 3.873. 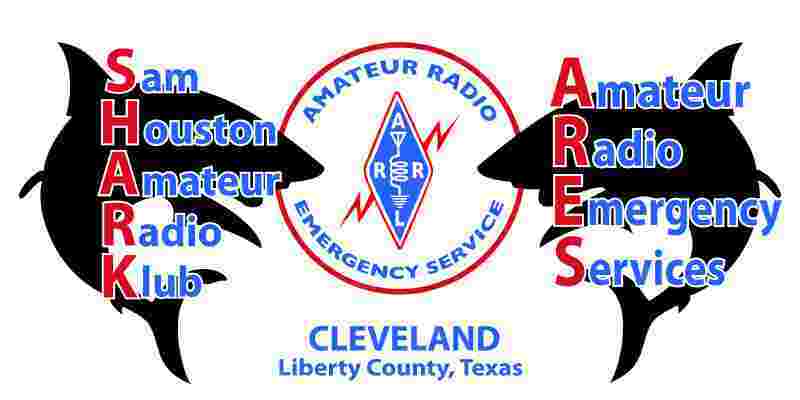 Texas CW traffic net (TEX) meets on 3541 khz daily at 7 and 10 p.m. 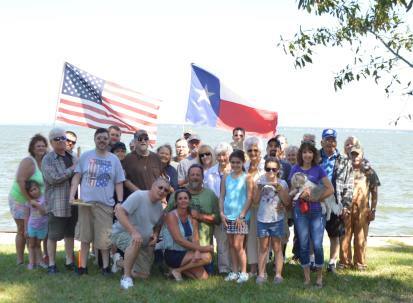 The SAM HOUSTON AMATEUR RADIO KLUB celebrates its 39th year. Clyde N5IF is sending out E-mails to remind everyone of the net and various other activities, send an E-mail if you want to be on the list. Membership dues for 2018 are just $25.00 for a single person, or a family membership plan for only $40.00. We need your current projects, send a write up and photo's if possible. You do not have to be a member to submit an article. For more info Contact Clyde via email "N5IF at sbcglobal dot net" or check the Get License page Pass the word to anyone wanting to test at that time for any class license. All VE's invited to attend. 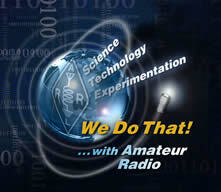 Weekly Net On The 146.900 Repeater Every Thursday night at 7:30pm C.D.T. The net is normally called by our Vice president Jesse Roberts N5EJ. Please stop by and say hello, the net is open to all licensed operators and is very informal. Yearly membership to the club is just $25.00 and the family membership is $40.00. This money is used to sponsor the repeaters as well as to provide for the various needs of the club. Contact Clyde (N5IF) or come by one of our meetings to get more information on becoming a member. To Join now, download the following and mail to the address at the top of the page along with your dues. The Club meets every second Tuesday of each Month at 7:30pm C.D.T. Twice a year during the spring and the fall, the Sam Houston Amateur Club host a week of fishing at "Wolf Creek Park" that ends with fish fry on Saturday. Please check the events page for the latest information. 2014 The club operated 1A this year and was the 2nd ranked team in Texas and 30th nationaly, The club hosted a Tech Class on Saturday taught by Sam N5AF. The Club tested and passed 1 new General and 3 Techs. 6m was non existent with 20m being the main band. The club made 503 contact total with 321 comming from the CW operators. 2013 The 2013 ARRL Field Day Event was held in Dolan, Tx. The club operated 2A this year to give new guys a chance on the radio and they took full advantage of the opportunity to operate. Most every phone contact was made by people that had never operated on the HF bands. Sam N5AF taught a technician class and gave test shortly after. Once again the Food was great but the camaraderie was even better. We look forward to an even better year in 2014. 2012 The 2012 ARRL Field Day Event was held in Dolan, Tx. The CW operators had another great year with the return of Jeff, Wess, Dave, and Larry. Cy W5DXE worked the night shift on SSB as Stu was recovering from surgey. Unfortunetly 6m was like trying to work DX on 70cm, the club ended up with 1 - 6m contact. Sam N5AF taught a technician class and gave test shortly after. Once again the Food was great but the camaraderie was even better. We look forward to an even better year in 2013. 2011 The Sam Houston Amateur Radio Klub 2011 ARRL Field Day Event was held in Dolan, Tx. The event saw the return of the CW group that operates with the club every year. Stu K5MV and Al N5WWS worked the night shift on SSB. This year we were able to have a 6m station while maintaining our 1A status. The 6m station was a big hit and saw a lot of activity from some new contest operators. Food was not a problem (never is with this club) and a great time was had by all. Please visit our field day page for info on how the club did for field day. 2010 The Club did operate from Sammy Neil's (N5AF) QTH again this year, (Thanks to Sammy for putting up with everyone). The Shark club welcomed a lot of new visitors from the boy scouts who came out and got in on the fun. 2009 The club operated from Sammy Neal's (N5AF) place near Dolan. Everyone had a wonderful time. The activities were coordinated by Clyde (N5IF). The club hosted an information booth ran by Margaret (NK5F). As always we had really good food that was prepared by Stephanie (KB5WXM), Brenda (KB5RSH), and Beth (KE5AJO). Thanks to Jeff (K5MV) and his friends we were able to make a lot of contacts on CW. Beth (KE5AJO), Brenda (KB5RSH), and Stu (K5STU) stayed up all night working the radio to increase our contacts.